Startup Business Models that rely on advertising will die! 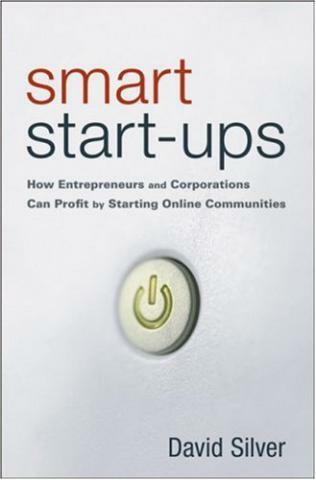 First of all I want to share this excellent book I picked up a few months ago in the airport on my way to India, “Smart Start-ups” by David Silver of the Angel capital firm Santa Fe Group. While the book is really about how the online communities we’ve seen such as MySpace and Facebook are nothing compared to what will come from online communities in the future, the theme I want to take from this book is how he dismissed online communities built using online advertising to generate revenues. It seems to me, there are too many online start-ups out there that have no clear business model outside advertising. If you’re thinking of doing a start-up built solely around this business model you’re basically creating a business that will only succeed if its a hit! And who, apart from Steve Jobs, can predict hits? I don’t even think the founders of Twitter could have possibly imagined that such a simple service which just lets the world know what you’re doing in 140 characters would have become such a hit. Without high volumes of traffic to your site, you won’t be able to generate significant revenues solely through advertising. It’s created an interesting conundrum. Consumers are now so used to software and services being free on the net, supported by advertising, that now any service offered to consumers has to be free because they won’t pay for it! I appreciate that online advertising is a huge and fast growing market, and I’m sure the online advertising networks will make a lot of money, but that’s because they spread their bets across thousands of sites to generate the traffic they need to get significant revenues. If you just have a normal site or service that is aimed at consumers, how can you hope to generate enough revenue to keep your business going if customers aren’t willing to pay anymore and your traffic isn’t high enough to get significant advertising revenues? That’s why I don’t think this current Web 2.0 “bubble”will last long and why I concentrate on online services to businesses who are willing to pay a monthly subscription for good services. The numbers are fantastic! Lets say you rent a server for £150 a month to host your service, all you need is 15 businesses paying £10 to break even, and most businesses will pay far more if you can deliver good value to them! So what would you prefer? Creating a service that you only need 15 customers to break even (remembering I’m considering the most basic of start-ups without staff and other expenses!) or pay far more than £150 a month to support a high volume of traffic that may or may not come to generate the advertising revenues you need to cover your expenses…and when advertising networks like Google AdSense don’t publish how much they pay publishers for advertising on their sites you can’t even predict it until you have the money coming in!